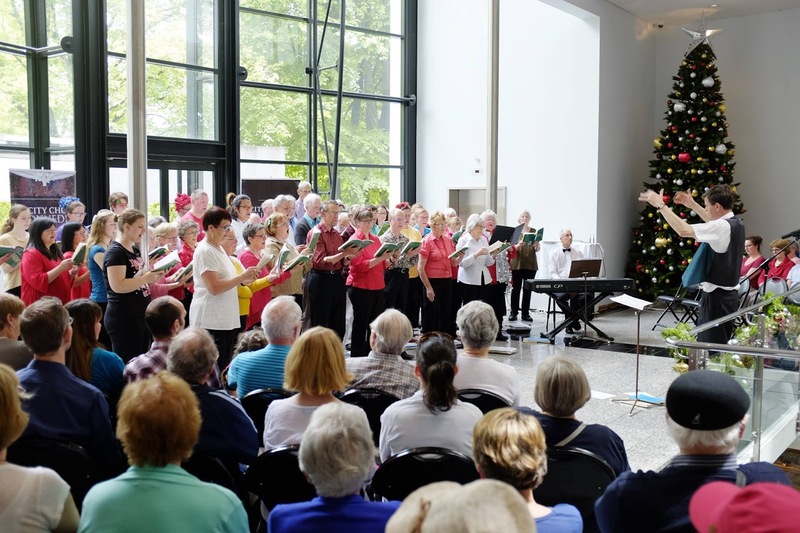 City Choir Dunedin presented an hour-long programme of Christmas music at the Otago Museum on Saturday 24 December 2016. An enthusiastic and appreciative audience of about 300 people were there to enjoy the music, some singing along with the traditional carols! We always welcome new singers and are particularly keen to hear from tenors and basses! Contact us if you'd like to join the Choir. Read more about our past concert seasons. Please sign up for the occasional Buzz survey to help raise funds for City Choir Dunedin. Thanks, we appreciate your support! © Dunedin Choral Society Inc. Awesome Inc. theme. Powered by Blogger.